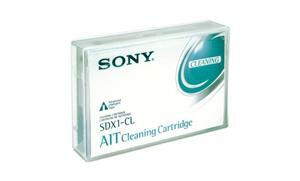 This cleaning cartridge will provide approximately 60 cleanings for AIT-1/-2 drives; 55 for AIT-3 drives. Store your cassettes at a temperature of between 15 and 25° C, and at 40-60% relative humidity. Store your cassettes away from magnetic fields.